3 years in the making, MovieMator Video Editor has finally become a simple but powerful FREE video editing software. It can do all the basic editing work such as trimming, cropping, splitting, rotating, merging and more, and provides unlimited video / audio tracks. With the built-in transition and professional-looking filters, MovieMator Video Editor can help users create short videos easily. 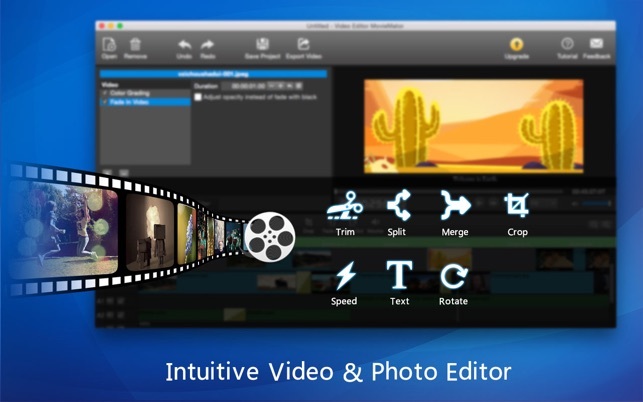 MovieMator Video Editor is committed to provide the most intuitive and easiest way for video editing. Beginners can quickly start and freely edit videos as they want. It fully supports all media formats like 4K UltraHD, H.265, MP3, OGG, JPG, SVG, etc. and optimized for the decoding of different formats, which significantly improved the decoding speed and quality. 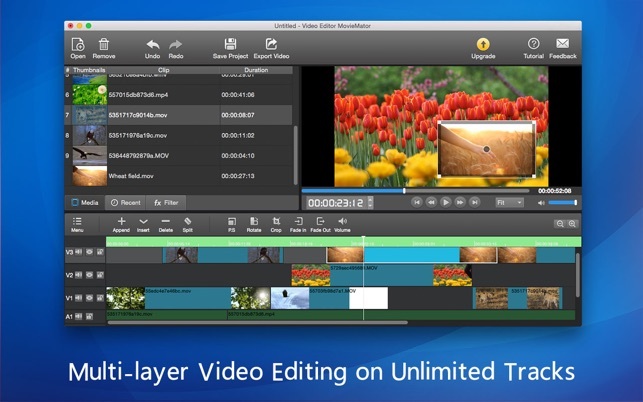 • Unlimited video tracks and audio tracks help users handle all projects. • Switch the visibility of the current track to easily preview specific track elements. 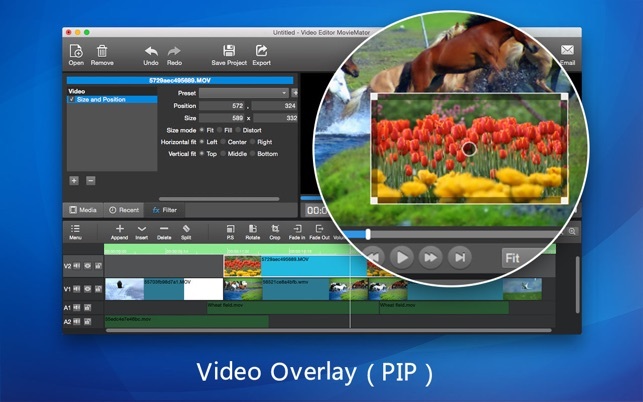 • Trim, Merge, Split, Crop,Rotate video clips of any format. • Transition and various video filters are available. • Support volume adjustment and various audio filters to create perfect sound effect. 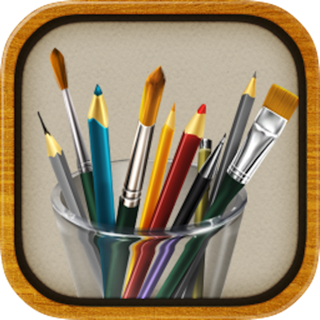 • Create Fast/Slow-motion video by adjusting the playing speed as you like. • Set fade in/out time for videos and audios with freedom. • Customize the content/color/size/position of text to create personalized subtitles. • Mute the original audio with one-click to easily change the background music of videos. • Precise control over all video, audio and image frame by frame. • Import all videos/photos shot by iPhone 6s, GoPro, camcorder or other devices. • Support videos/images downloaded from Facebook, Instagram, Flickr and more sites. 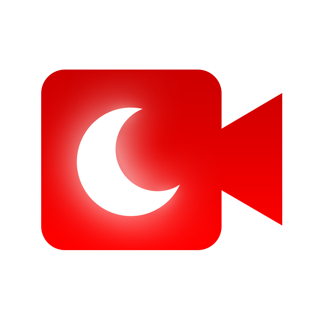 • Support videos with voiceover that recorded by any screen recording software. • Work natively with a broad range of formats including ProRes, RED, XAVC, AVCHD, H.264 from DSLR and more. • The interface of MovieMator is intuitive and all features are clear at a glance. • Easy-to-use cut, copy, and paste operations. • Hide, mute, and lock video track and audio track with one-click. • Arrange and Trim all elements (videos/audios/images) on the timeline by dragging and dropping. • Real-time preview feature ensures what you see is what you get. 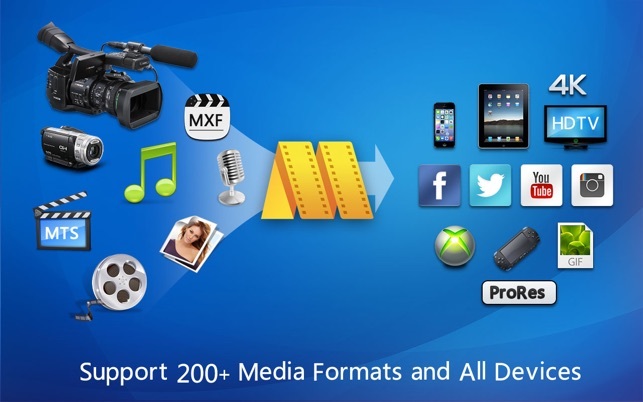 • Incredibly fast export of HD videos in 200+ media formats for playback on all devices. • Customize output parameters like resolution, frame rate, aspect ratio, encoding and etc. • Save the file as a project for direct editing next time. • Auto save the project when the window is closed unexpectedly. 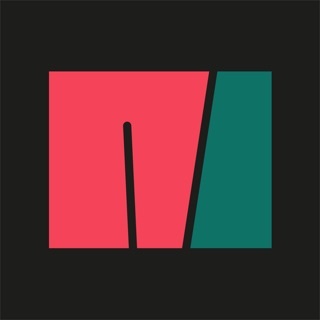 Note: MovieMator Video Editor is designed to create short videos quickly. Users can export videos up to 5 minutes. One default transition and several filters (fade in, fade out, Text, Resize, Rotate, Volume,Crop. ) are available in MovieMator Video Editor . 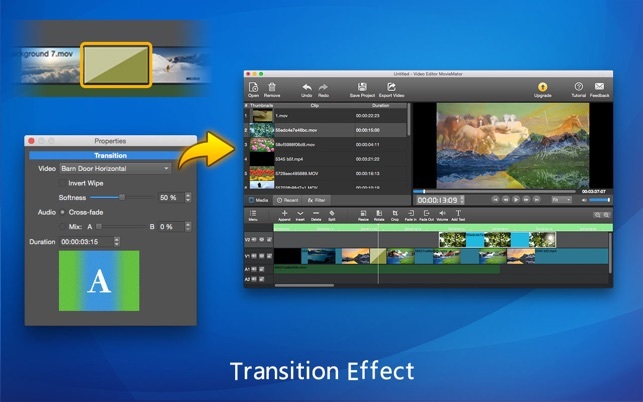 If you want to export videos of any length with numerous transition and filter effects, please upgrade to MovieMator Video Editor Pro. 3. Export videos of any length. 1 Fixed the crashing issues and greatly enhanced stability & usability. It is compatible with 10.14 Mojave. 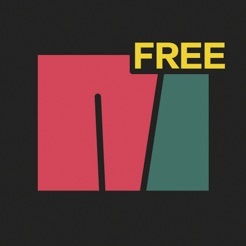 2 Support GIF transparent animation. 4 You can use mouse wheel to zoom the timeline now. 5 The interface was optimized to make it easier to integrate with filters. 6 Optimized efficiency in order to better support long video (greater than 2 hours) clips editing. Beware. Don’t get this app!!!! Buyer beware! There aren’t enough bad words to express how I feel right now about this basic program. I downloaded the application to edit video of my grandson’s birthday party. After hours of work over 2 evenings, I discovered the app wouldn’t let me copy it to a disk, so I sent it to my iPhone. It sent me the first 30 seconds of my movie. A pop-up appeared saying I needed ot purchase the pro package. I think it was possibly because the movie is about 10 seconds longer than 5 minutes that it wouldn’t let me download it. I’m not sure because it took forever to download the 30 seconds that I got. I then tried downloadingng each part of the movie to my desktop or my movie file to save my work. Didn’t work. The program appears to make it so you can only use it on their application but not export it to a CD. I’m gathering that is, unless you purchase the pro pkg. I rarely write something bad because I want to give people or companies the benefit of the doubt. But this ended up being a TOTAL waste of my time and is designed to rip people off of their efforts unless you pay money, which this basic app wasn’t supposed to require. We are really sorry for your poor experience with MovieMator. If your movie is longer than 5 minutes, MovieMator will save the first 5 minutes of your movie. Sorry for your lost time. Please drop us an email at market@effectmatrix.com and tell us more your problems. We'd love to help and fix your problem ASAP. DO NOT get the app! The app only allows you to edit 5 minutes worth of video and they won’t tell you about it when you start editing your video because once you’ve spent hours editing the video and come to know about the time limit they think that you would just cough up the money because you don’t want to waste the HOURS you’ve spent making your video. I hate to break it to the developers of this app but that’s not how it works. If you had let me edit my video and use your product I would’ve bought it because I genuinely liked it. After this underhanded tactic not only did you lose a potential customer but you also ended up getting a 1 star review and a complaint logged against you with Apple. Good going fellas! Keep it up! I’m sure I’m not the only one that this has happened to. Absolutely pathetic. Believe in your own product and don’t rely on cheap tactics to get people to buy your products. You will only end up doing the opposite. We are so sorry to hear that you are unhappy with our MovieMator. We added an export limitation notice in the new version 2.5.4 but was allowed to upload to the platform. Sorry about that. The software on my computer doesn’t support IMovie, so I installed this instead. Editing the video clips and audio together was easy, of course, and I had no problems while editing. However, after exporting my video, I watched it back and the audio was ruined, as in it was playing at a lower pitch level. I went back and tried to see if any of the audio on my clips was somehow changed and everything was normal. I exported it but this time as a different file format and the saame thing happened. It can’t be user error if I had everything organized correctly. Something in the audio must have been corrupted during the export but I’m not going to go back and spend hours fixing something that should not be a problem to begin with. If it’s an error with the app itself, why would I check every aspect of it to fix it myself? Sorry to hear that. The problem is caused by the inconsistent audio bitrate. Please right click to see the Sample rate and export with the consistent bitrate. Please contact our support if your problem persists.